It was a pretty momentous trip. 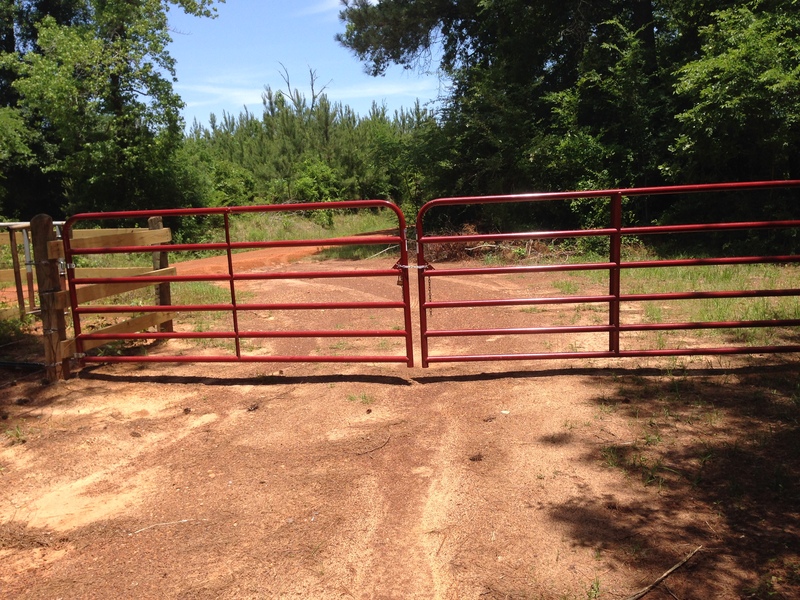 First, we got to see our new gate which our lovely neighbor put up for us city folk. I had four firsts, it was the first time I’d ever installed a faucet, which was not as easy as it sounds thanks to the old sink having an old design of two small holes for the tubing, whereas modern faucets use one large central hole. A special diamond tipped drill bit made short work of that, not that drilling through porcelain was a quick task. Faucet in and functioning without any leaks 🙂 Time to move ahead to my second first, weed whacking. Not that I’ve deliberately not done it, the opportunity just never presented itself before. I actually found it rather exhilarating, the grass had grown so long that we couldn’t even see the path to the pond. In fact, I got so carried away I got a blister, under my glove, another first (for Trenoweth). 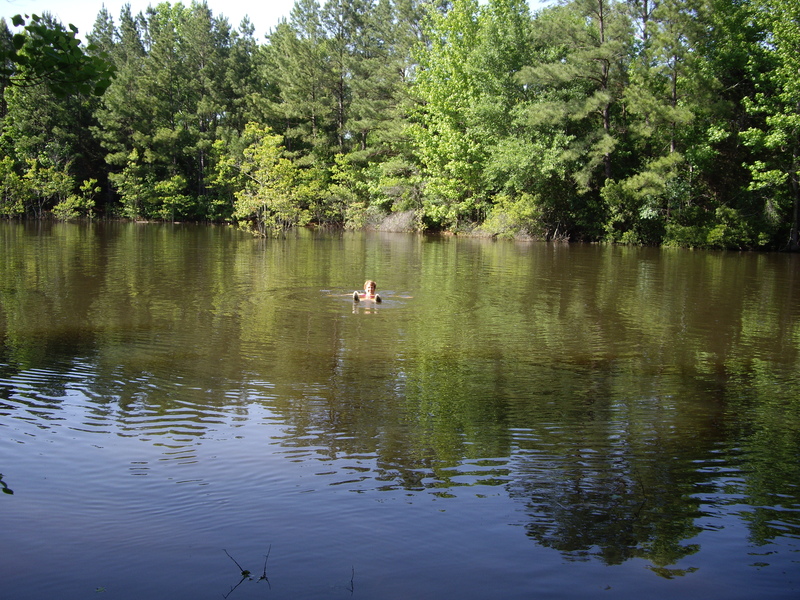 When we had finally worn ourselves out it was time to cool off, in the wonderful pond, yet another first. DeAun was a bit of a wimp because it was still pretty cold, probably due to the fact that it is spring fed. 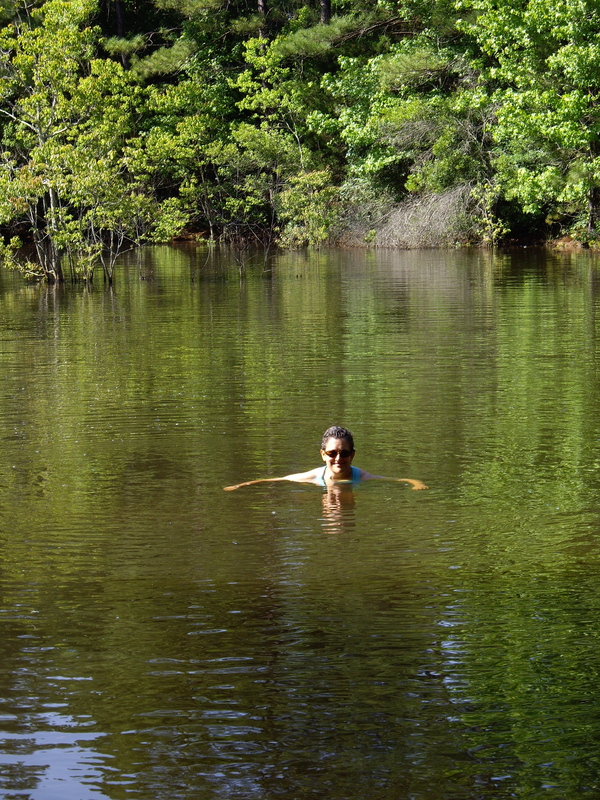 In true Brit style, I swam around the island (otherwise known as the little clump of trees in the middle of the pond).